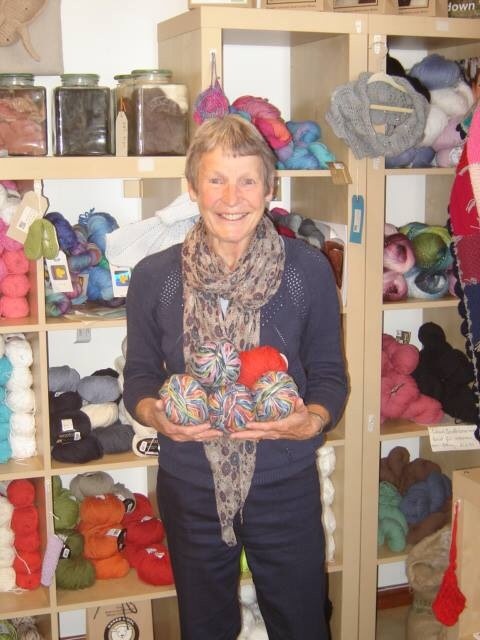 Following my last blog on Kaffe Fassett I have been totally spoiled – two days last week were spent in Cambridge with a friend who has always shared my passions for colour, yarns and blue and white china. 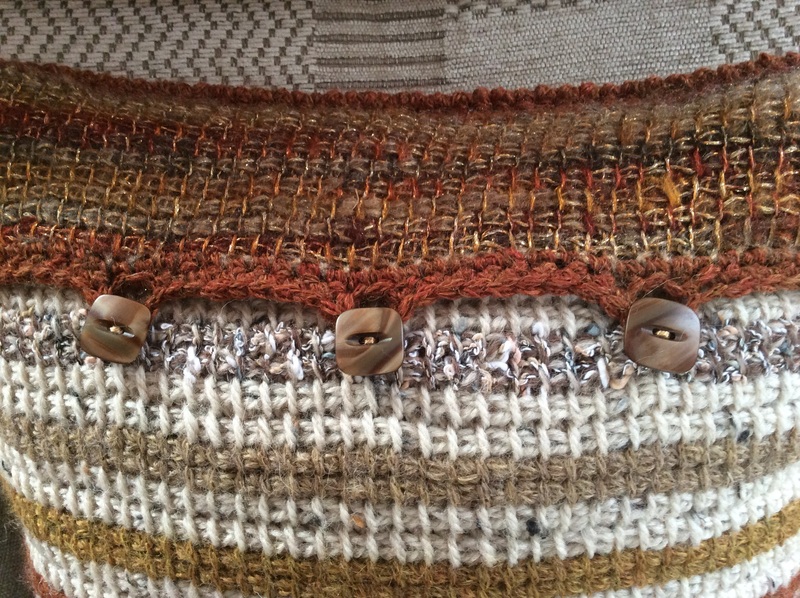 In fact, she has always been an inspiration to me when it comes to crafting and collecting and we have shared our love of these for forty plus years. During the seventies and eighties we used to scour every woolshop in every town we visited for oddments of beautiful yarns – natural fibres in the scrummy colours which KF used – to stash in colour-coded drawers! 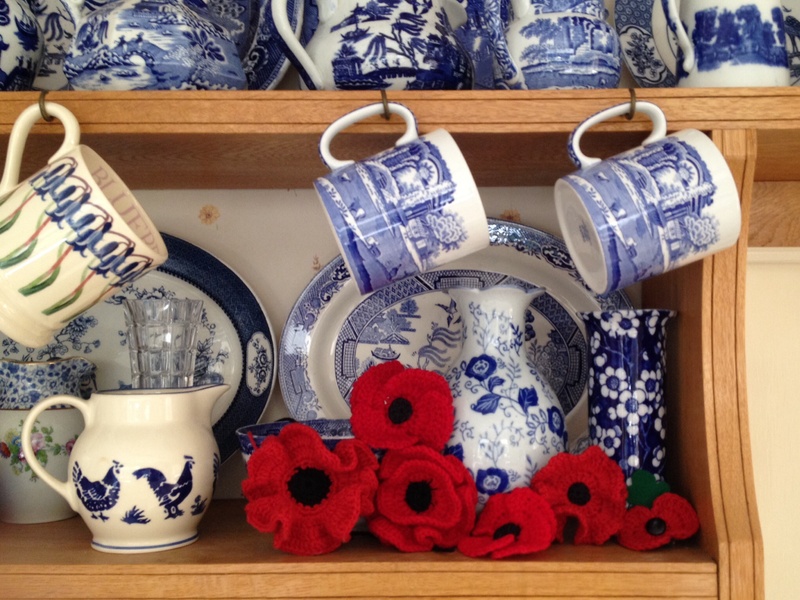 Bric-a-brac shops beckoned to us, promising blue and white china treasures – in those days you could pick up an interesting jug or plate for a few pounds if you were lucky. 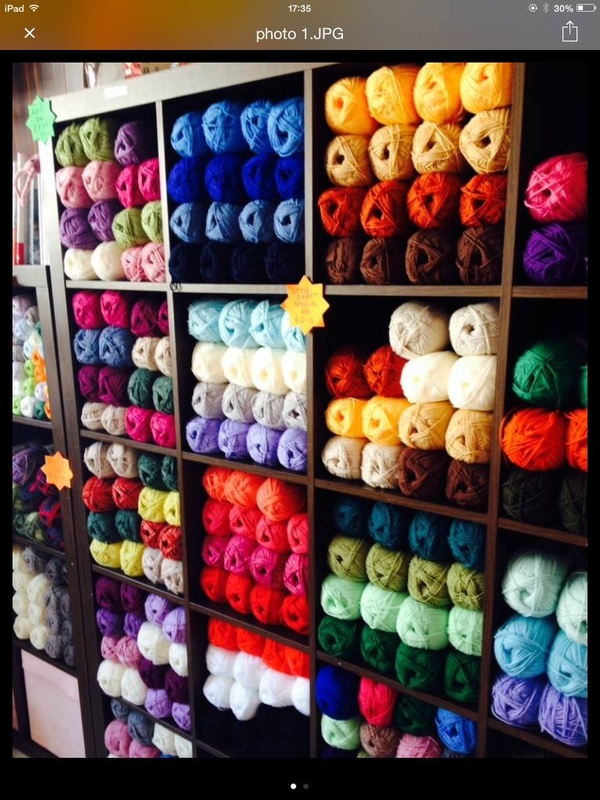 All these memories were revived last week and my visit to The Sheep Shop in Cambridge was a real treat ….. scrummy, squishy yarns in a rainbow of fantastic colours, all so needing to be touched. 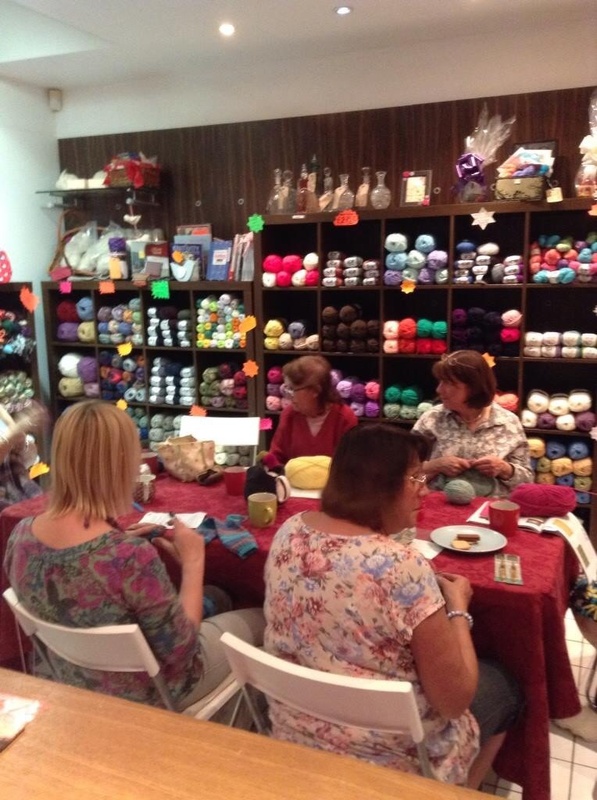 Members of the knitting group were busy working on varied exciting projects – just how you imagine an inspiring woolshop to be. The owner even wanted to take my photo – now that is a first! spot the odd ball out? 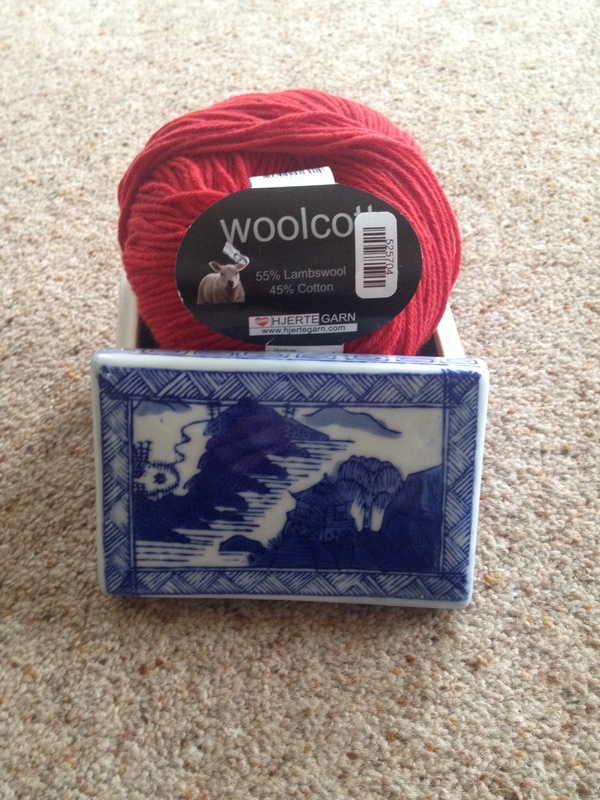 Now, red is not usually one of my colours but I found a lovely lambswool-cotton blend …. 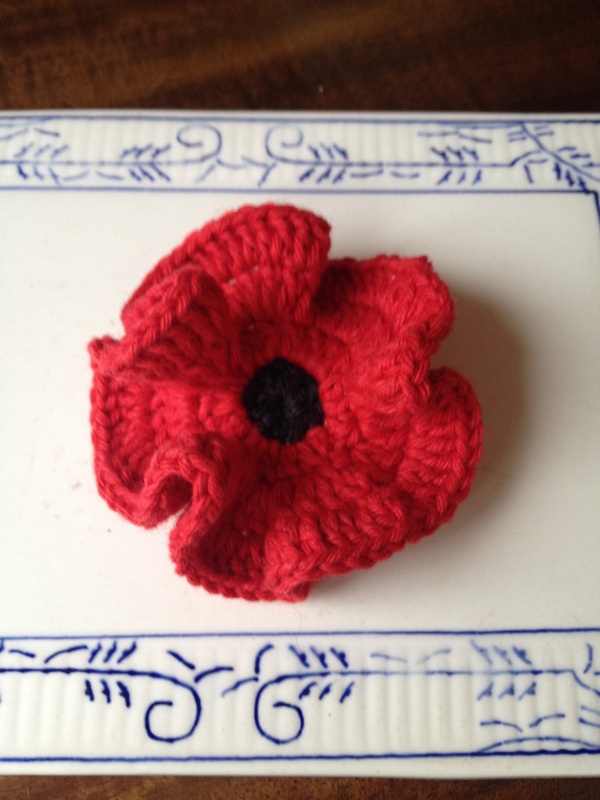 ……………………………… perfect for the Remembrance poppies which I wanted to make before going to the poppy workshop to be held in one of my local yarn stores. 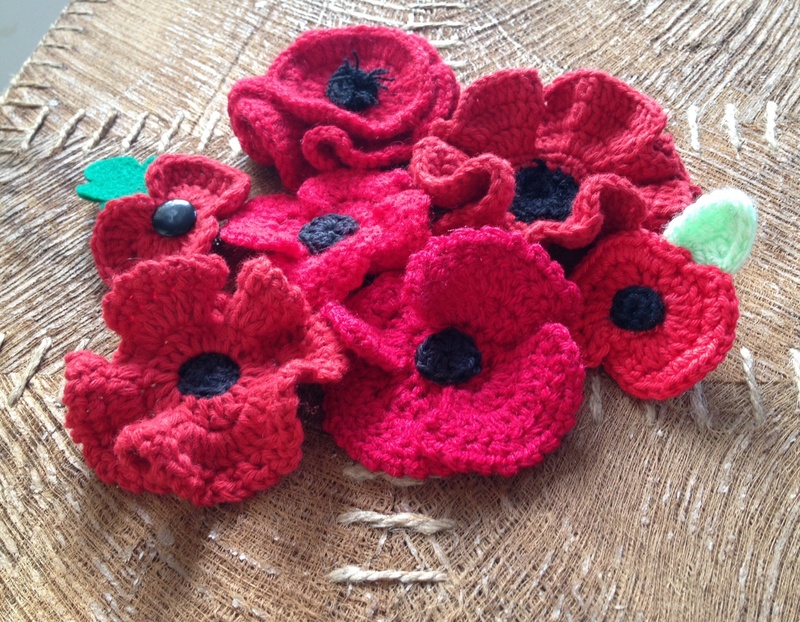 So Wednesday was spent at Miju Wools in Gloucester working up poppies from different patterns; some will be sold to the local community with proceeds going to The British Legion and some will be passed on to friends and family. 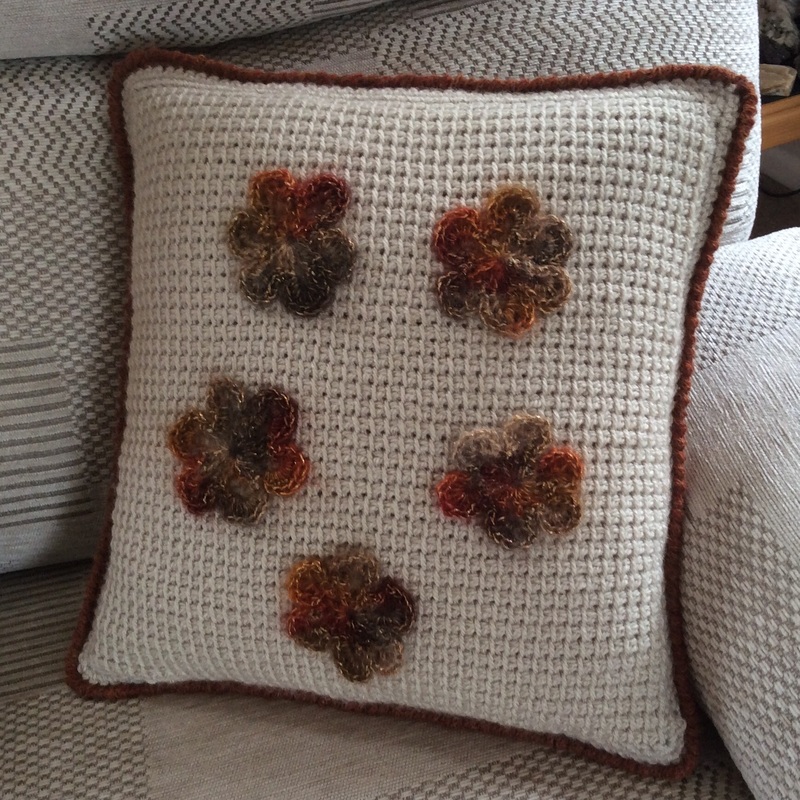 – they also have some super gifts for craft lovers many of which are handmade by members of their knitting and crochet groups. 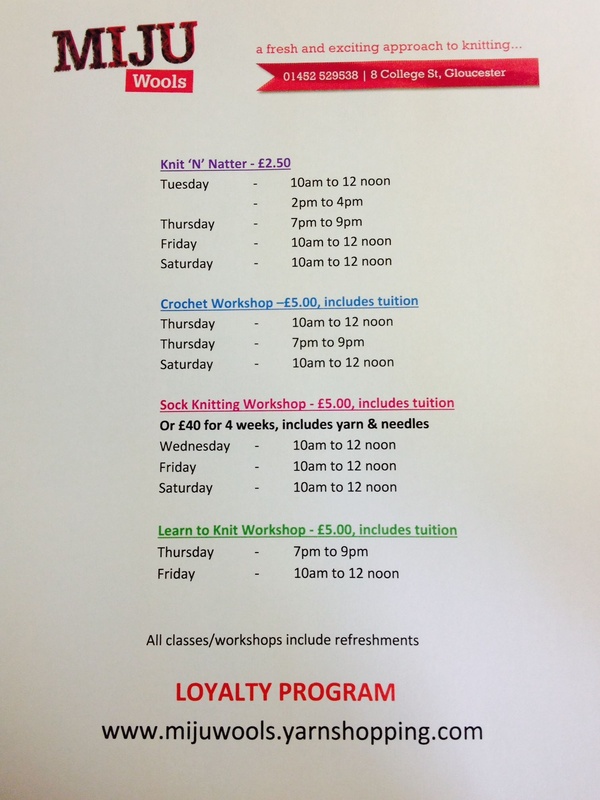 There will be more workshops leading up to Christmas and regular classes are held on a weekly basis. If you remember last time I wrote I was working on a cushion cover using the “magic ball” method. 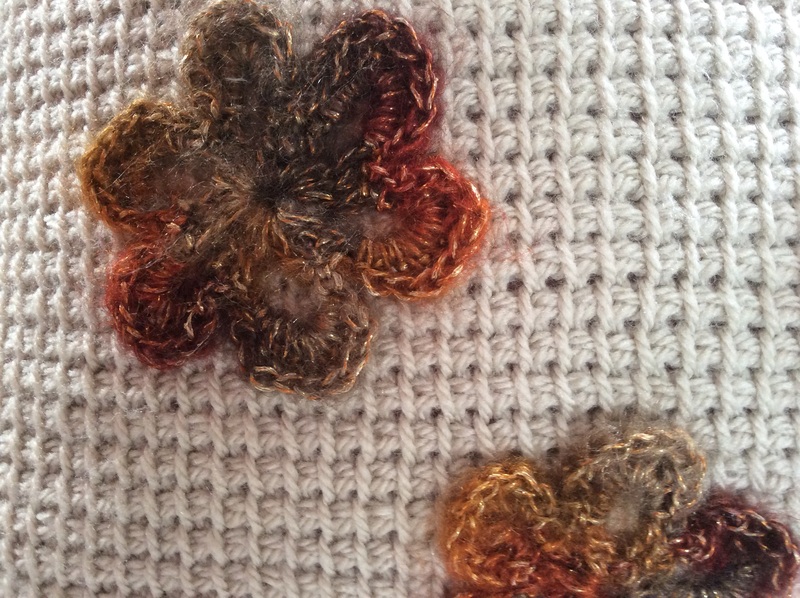 In fact, it has worked out well and the colours all blend together nicely. 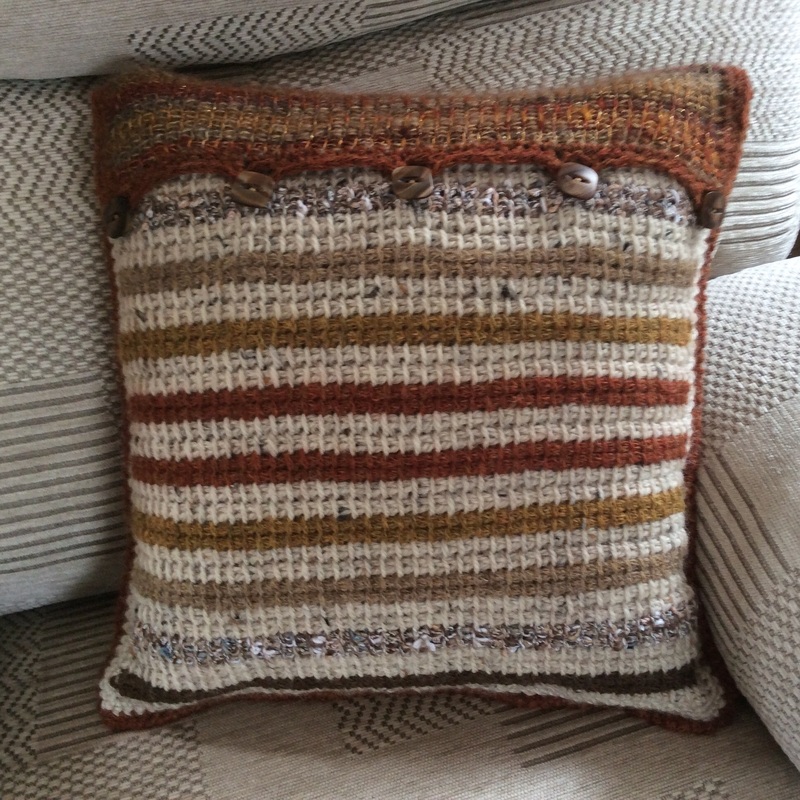 In the interests of symmetry I should really make another one to go the other end of the sofa …. but there are so many other projects queued that realistically I don’t think it will happen this side of Christmas! So, Halloween projects here we come – there’s not much time left.